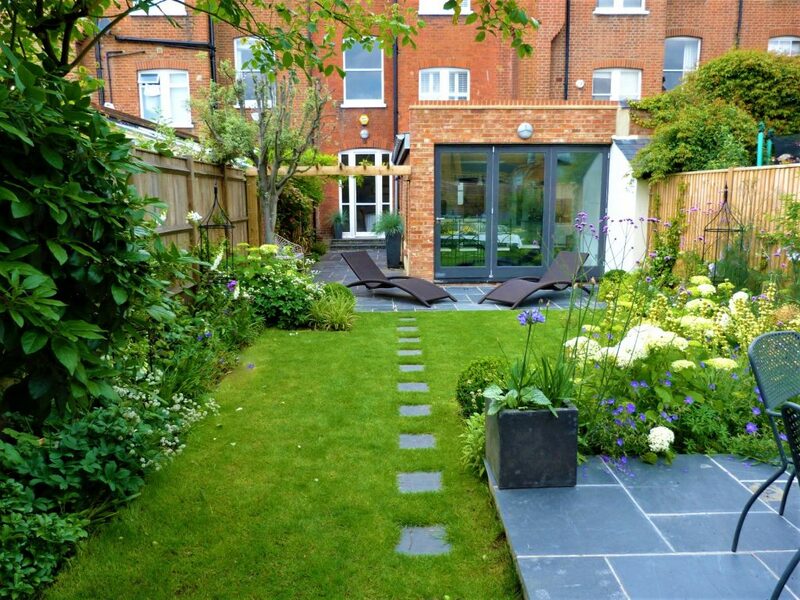 A new contemporary glass extension meant the views into the garden became important. 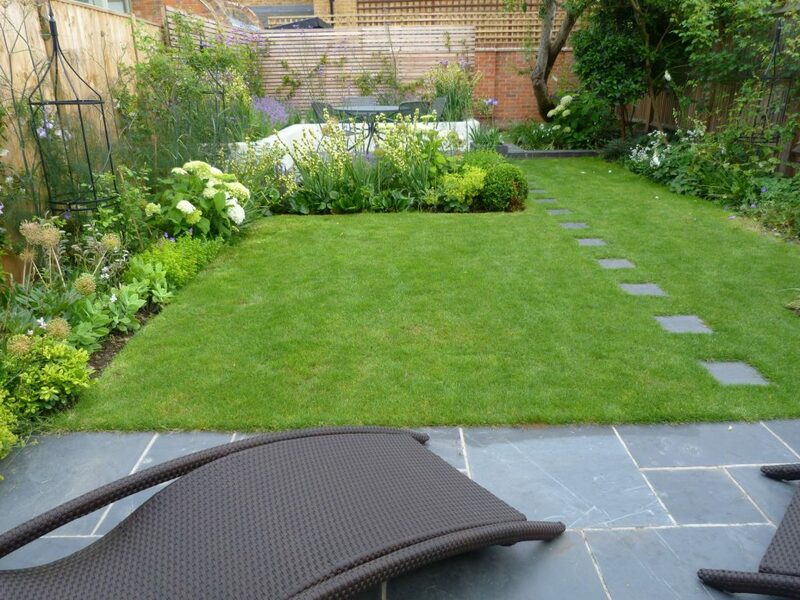 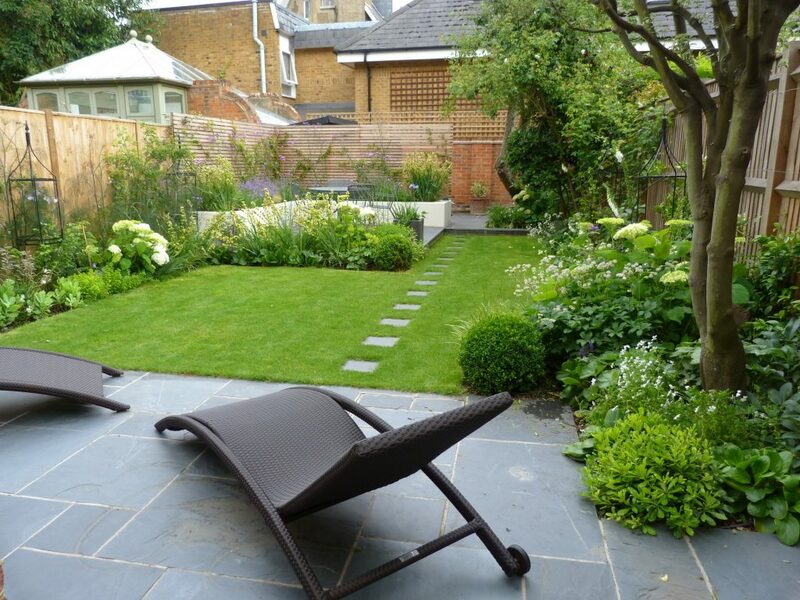 To create a seamless flow into the garden, slate paving to match the kitchen flooring was used for the new patio. 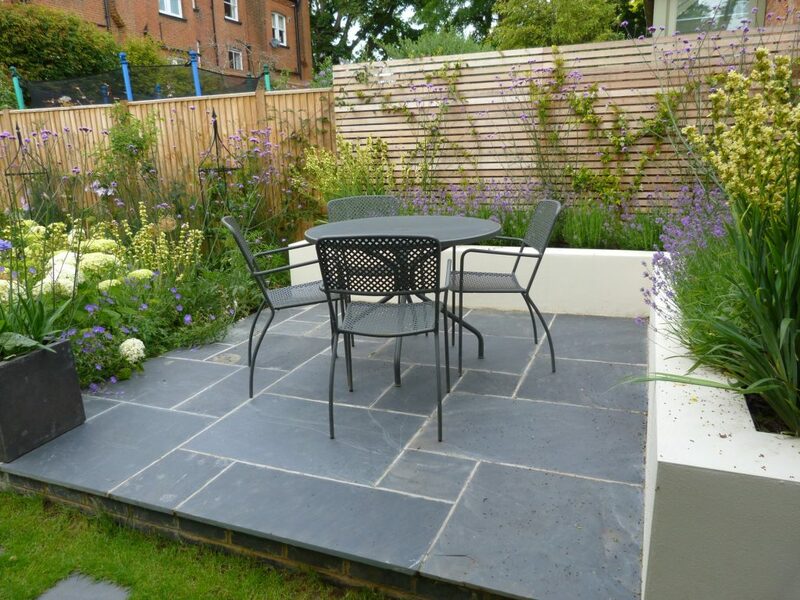 A second smaller raised terrace was added at the sunny end of the garden making a great spot for evening drinks. 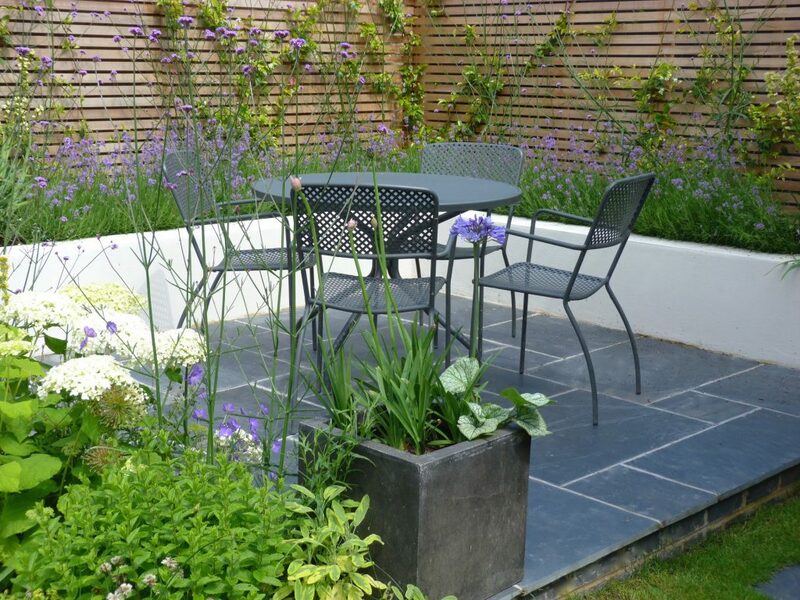 The contemporary slatted trellis and raised planting beds create a secluded corner whilst hiding the shed. 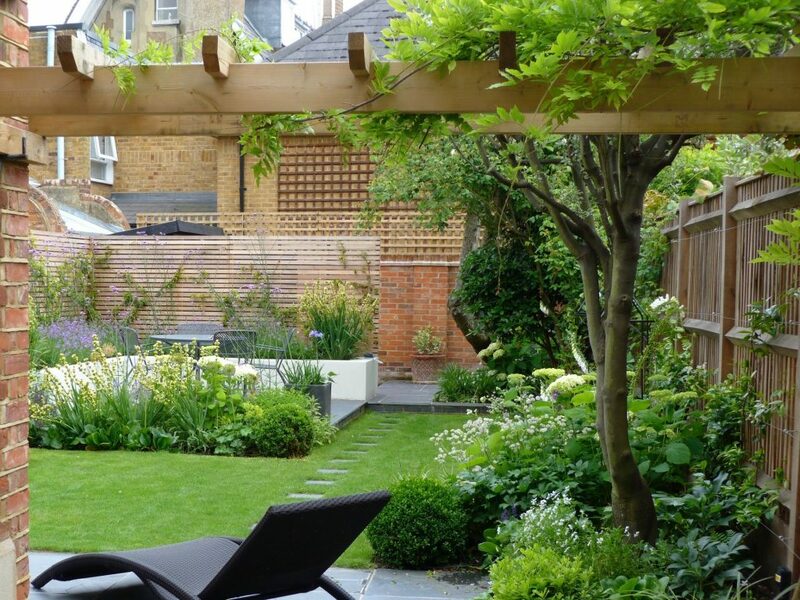 An oak pergola covered in Wisteria screens off the side return where a large dining table is placed. 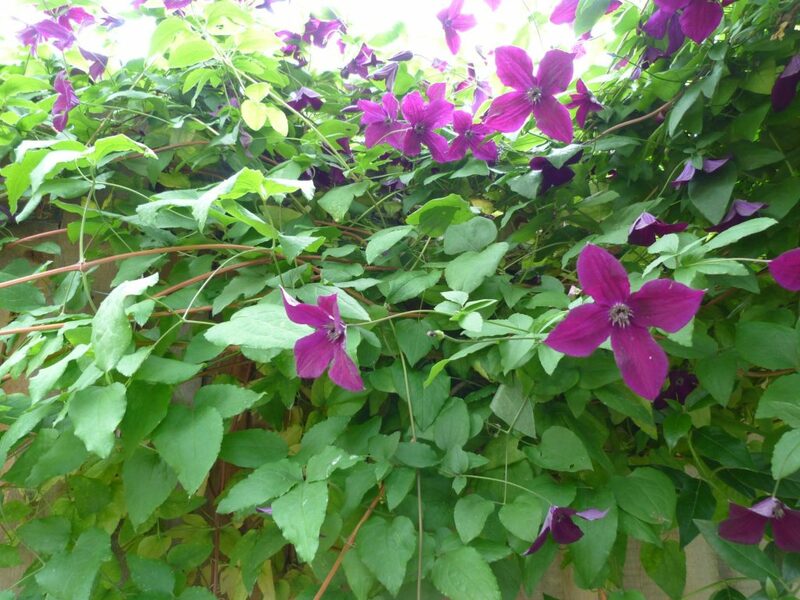 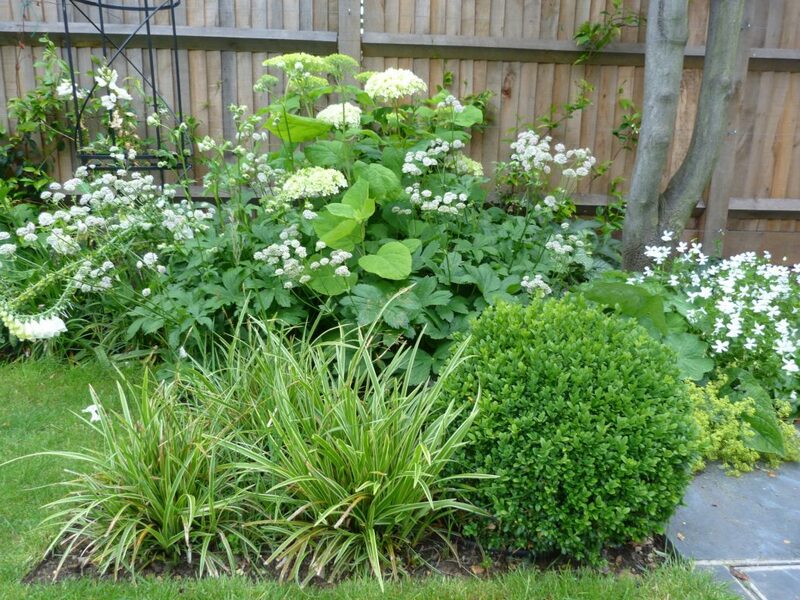 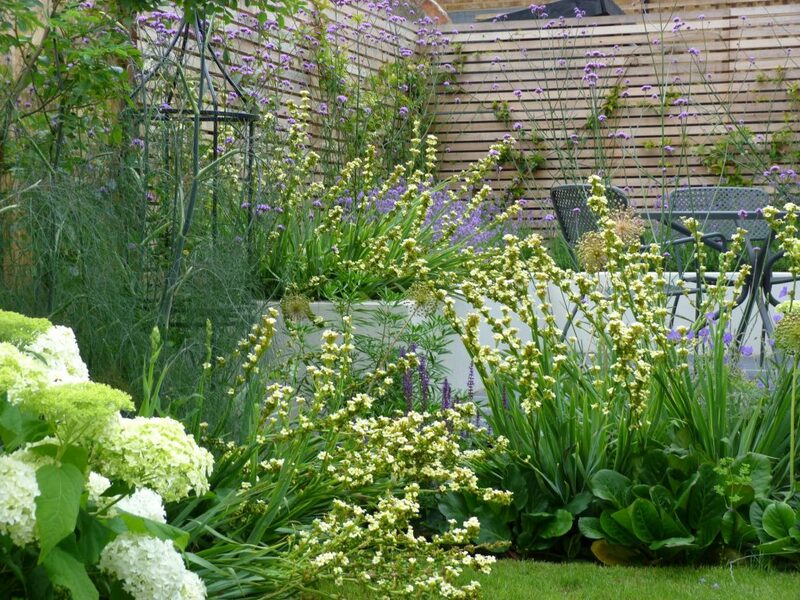 The planting is fresh yet formal.